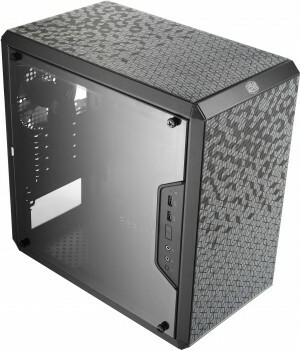 The MasterBox Q300L is a straightforward option in the lineup of the brand new MasterBox Q-series from Cooler Master. A series that might be small in size but excels in functionality and modularity without compromising on the thermal performance. 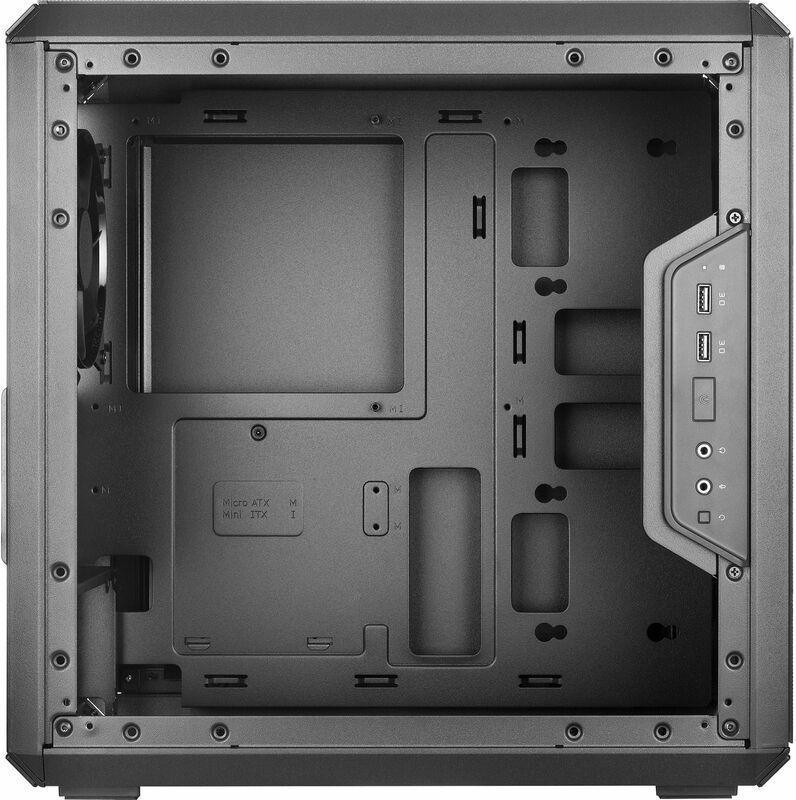 Although the size wouldn’t tell, the MasterBox Q300L supports a standard ATX PSU which we don’t see often in the market with this size. 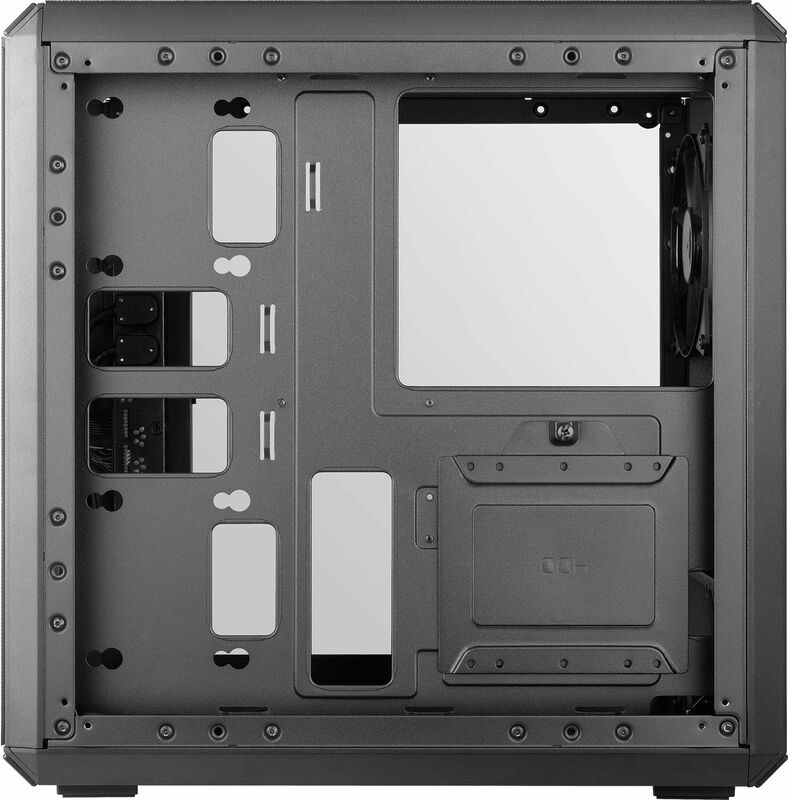 Based on the different system setup, the I/O panel can be adjusted to six different locations, three options at each side of the case. 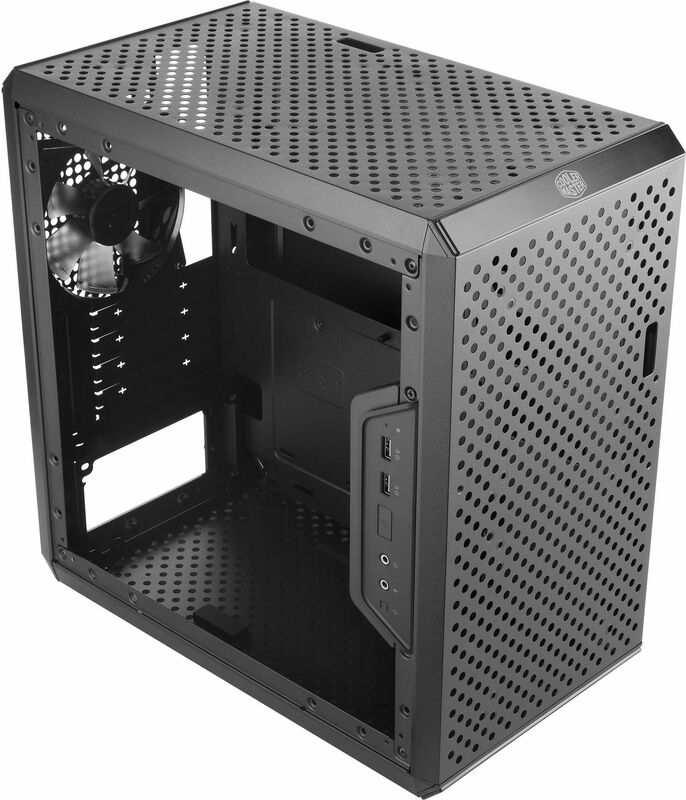 You can decide which setup fits your system best. 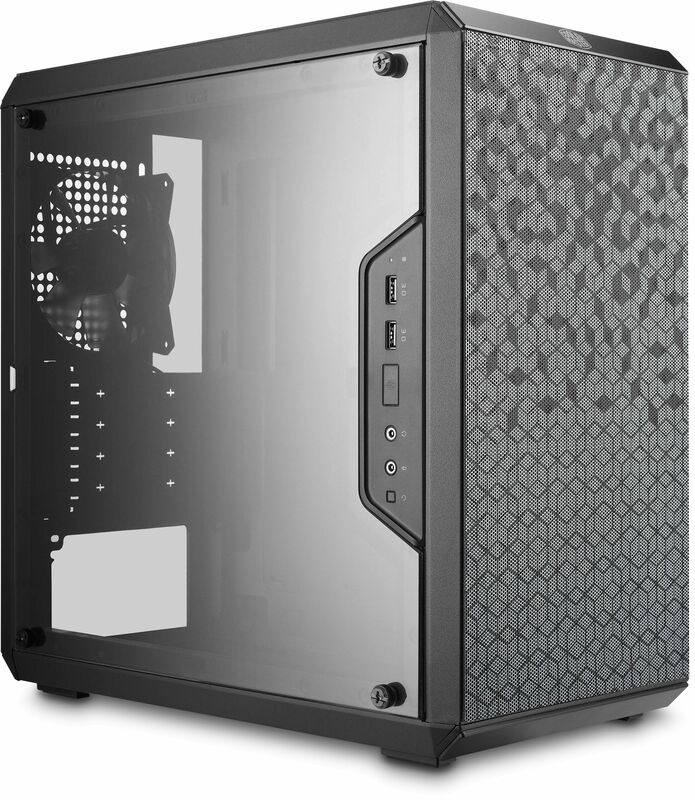 Due to the cube design of the frame and special pattern design on the magnetic dust filter will make the chassis stand out from the rest. The combination of a practical design and the unique customisable outlook makes the MasterBox Q300L the perfect choice for office and home usage. The I/O panel can be adjusted to six different locations. 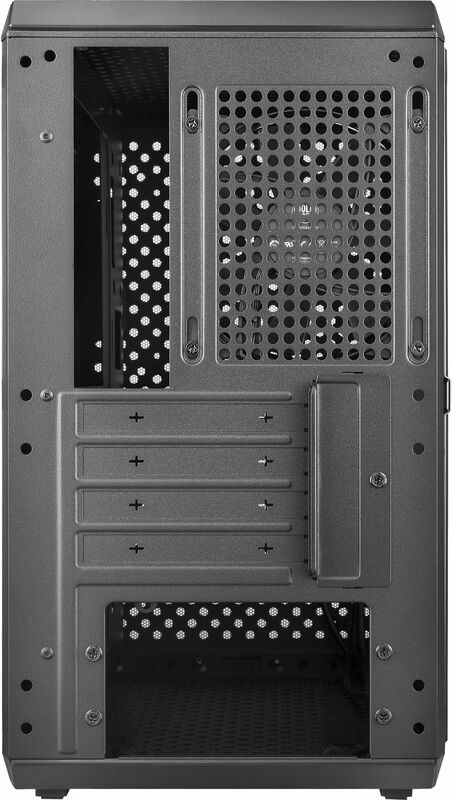 On both side of the body you can install the I/O panel at the front, top or bottom. 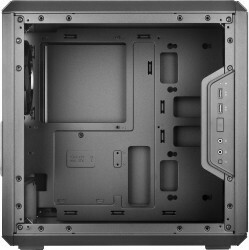 Despite the Micro-ATX form factor and the body depth and height of only 370mm x 370mm, the MasterBox Q300L can accommodate a normal ATX PSU. Special pattern on the dust filter creates a unique outlook for the chassis. 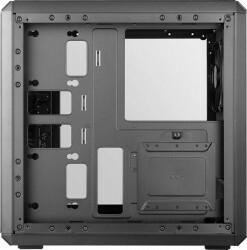 Clean Routing Space: Behind the motherboard tray, it offers 28mm wide and spacy room for hidden cable management. The open design of the perforated front, top and bottom guarantees excellent thermal performance. Show off your build through the full size transparent side panel. The case can be put in vertical and horizontal position.